…also known as “that one Dracula story that really should’ve remained untold”. At least in my book and probably that of the many people that were at the movie theatre last night and left torn between being amused by it or being angry at having paid to see it. Now, the reasons I’m pissed at the movie might have less to do with the fact that they’ve borrowed the epic aerial shots that made Lord of the Rings awesome or that Dracula was basically Magneto, except with bats, and more to do with the fact that it actually promised something that it didn’t deliver on. 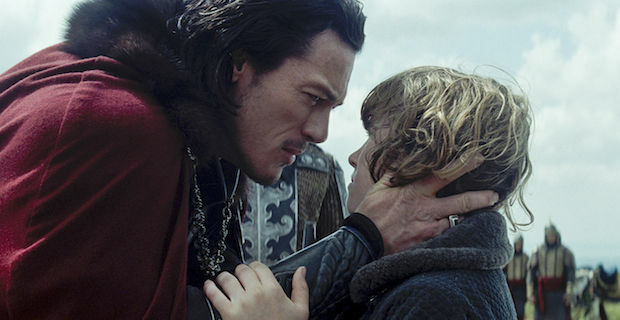 If you name your movie Dracula Untold, I genuinely expect you to tell me something I didn’t know about Vlad Tepes, not for a nearly two hour experience in the worst butchering of history ever. Sure, it never promised to be accurate, but hell…a little bit of homework would’ve gone a long way. I would’ve actually glossed over the absurdity of half of the movie, if they would’ve been among the few that actually placed the man in the right country. You know…that country that wasn’t Transylvania and that he actually ruled over before he was eventually killed? 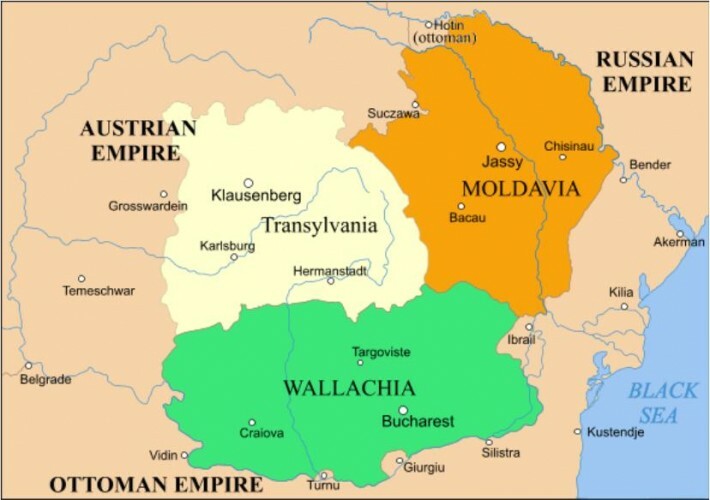 (It’s called Wallachia, look it up). But say I let that go, why the attempt at making Vlad seem like this benign, puppy like man that tried to rule his country by being all lovely to his people? Sure, it looked like his fictional castle (I’m being literal here) was only populated by about 50 people, but really? If we can have an entire show about a guy eating his friends, co-workers and enemies – I’m looking at you, Hannibal – why do we have to pretend that a slightly/very unhinged (yet heroic to his people) man was something else? It’s because Luke Evans is pretty, I’m sure. And I’m not even trying to be funny here. Can you imagine a movie that was actually historically accurate, a movie in which he impaled people left right and centre (properly so) and he didn’t spend time fawning over his made-up wife or his absurdly named child? (That movie exists by the way) Well, it might have been better in my eyes to be frank, but if that were the case and his redeemable characteristics would’ve only been understood by those with a slight knowledge of history, then it would’ve been a flop. Wait…it already is, so what was the problem then? It’s formulaic, it’s got a pretty guy, a pretty (albeit dumb) woman, a kid thrown into the mix, basically when it started it was a recipe for success. Are you telling me the audience has finally smartened up and stopped falling for that?! I am uncertain if I should thank the gods or cringe in fear at the number of movies that will follow Dracula’s lead down to the dark caves on top of made up mountains. Back to one other thing that bugged the hell out of me and made me make funny faces throughout the film… Whoever wrote the script really should’ve considered not translating Angel to Romanian and slap it on as the kid’s label. Seriously, I don’t think anyone considered that no one, no one would ever name their kid Îngeraș or that it is one impossible word to say for someone who’s a native English speaker. But hey, it got the room roaring with laughter, so…point to the guys behind it? Ingrass…Ingrash… Yeah, they really should’ve quit while their were ahead. Maybe named him Johnny, since he was made up anyway. Oh, look it’s Vlad and Ingrass, Ingress, Ingrash…whatever. I was told by someone yesterday that the British and American audiences wouldn’t actually care about the finer details of Tepes’s history, since well, they are clueless or uninterested in it. I suppose it’s what actually is at the root of my disappointment with the movie. If you start telling the untold story of a man, you should. I didn’t expect an epic, three part tale of his history with the sultan or his squabbles with his equally, if not more, damaged brothers, the treason that ultimately led to his imprisonment and so on (but it would’ve been nice), however I did expect more than what I got. Thank god for budget constraints or we would’ve all had to contend to even more CGI meant to cover up the lack of soul this movie was so desperately suffering from. I wonder if the budget constraints were responsible for them not being in the possession of a map that would’ve told them that from the south of Transilvania to Cozia you have to travel over 350 km, you know an impossible distance to cover back in the 15th century in less than a day(particularly a day that lasted about two or three hours, since time was more than fluid in this film), with horses or without them, because the horses magically disappear when it’s convenient, since it makes hacking people in half easier if they’re closer to the ground. I really wish they would’ve made up a character, with an entirely different name, in an entirely made-up country, with made-up enemies and so on and I would’ve maybe enjoyed it. I compared this with The Hobbit to our very own Andy, last night, because let’s face it, that’s about as loosely based on the book as this is based on history. I have a feeling people in Turkey won’t appreciate the portrayal of Mehmet II anymore than I appreciated Vlad’s portrayal. Really, an entirely different, completely fictional, no known names mentioned might have been a little more enjoyable to me and to many, I’m sure. Here’s the trailer, in case you still want to go and watch it, if only for the CGI, which is actually pretty good. But you know, you could just wait until it’s out on Netflix or DVD and save you the money on tickets, popcorn and whatever else. Hell, it might even ruin friendships if you’re the one suggesting this for your next outing.